Hair gel is a popular beauty product that’s used to keep hair in place. It stiffens the hair to keep styles secure throughout the day. Hair gel is used by men and women alike, and there are countless brands to choose from. It’s sold at drugstores, beauty stores, hair salons, and online retailers, and it ranges vastly in price. Hair gel began as a product used mainly by men. It was made so that men could comb their hair into place and achieve a glossy look. Hair gel was especially popular in the 80s when highly styled, stiff hair was in fashion. Today, hair gel is still used for fashion purposes and is widely used for men’s hair styles. Many men use gel on a daily basis before leaving the house to achieve their everyday hair style. Women may find gel particularly helpful to create a sleek, slicked-back updo, such as a high ponytail or a tight bun. Hair gel varies in the level of hold it provides. Hair gel with a high level of strength will harden the hair, allowing it to stay in place for hours on end. Other types of hair gel that provide a lower level of hold will provide some security without making the hair too stiff or hard. Hair gel contains varying ingredients depending on the brand and product. But, generally speaking, it consists of hair-styling polymers, water, alcohol, and other water-based substances. Hairspray is a common alternative to hair gel because it’s equally as effective at making hair stay in place. Hairspray is also a staple beauty product that has been sold and used for years. It’s especially popular in the performing arts industry for setting stage hair and perfecting onstage looks. Reliable and easy to apply, hairspray isn’t going out of fashion anytime soon. Hairspray contains polymers in a solvent combined with other ingredients, such as hydrating oils or anti-humidifiers. The polymer is the ingredients that secures your hairstyle and keeps it in place, while the solvent will evaporate once the product is sprayed. Alcohol is an example of a common solvent used in hairspray, which is why hairspray is also often flammable. Hairspray is a trusted, popular styling product that’s been around for decades. Read more about the benefits of this staple beauty product below. Hairspray is incredibly easy to apply. Unlike gel, you don’t even need to use your hands to spread it throughout your hair. Simply spray the amount you need, and you’re done! Many varieties of hairspray are inexpensive. While there are pricey, high-end options available, budget-friendly hairspray varieties can be found at any neighborhood drugstore. Hairspray can be used in varying amounts depending on your needs. Use just one coat for a gentle hold, or add many layers for a look that will stay secure all day long. Despite hairspray’s popularity and effectiveness at setting hair styles in place, it has a handful of undeniable downsides, which are listed below. Hairspray is typically sold in aerosol cans, which present some safety risks. Firstly, if hairspray is accidentally sprayed into the eyes, it may cause harm or injury. Also, it’s possible to accidentally inhale fumes from hairspray. Due to the fact that hairspray contains chemicals, this could cause throat irritation and other symptoms. Hairspray can create a “crunchy” texture that isn’t pleasant to the touch. While you can achieve your desired look with hairspray, the feel of your hair won’t be soft or luscious. Leave-in conditioner is an underrated beauty product that can be used as a substitute for hair gel in order to achieve greater hold and security. As opposed to regular conditioner, which is washed out in the shower, leave-in conditioner is used as a styling tool and remains in your hair after application. Leave-in conditioner does have distinct differences from hair gel. Whereas hair gel creates a tight hold and the hair, leave-in conditioner is effective at keeping texture and “life” in the hair. Leave-in conditioner will keep your hair from falling flat, even after a long and hectic day. Leave-in conditioners come in both sprays and creams. Conditioner spray is better used as a post-shower treatment when your hair is aching for extra moisture. Leave-in conditioners with a thick, creamy texture are the best choice for use as a styling product in place of hair gel. Leave-in conditioner has clear differences from hair gel, but what are its unique benefits? Find out below. Leave-in conditioner provides the added benefit of acting as a moisturizing treatment–few styling products can say the same. In addition to keeping your hair looking full and styled all day long, this beauty product will leave your hair feeling healthier and more hydrated. While gel may leave your hair feeling hard or crunchy, leave-in conditioner does just the opposite, working to hydrate your hair and improve its texture. For this reason, leave-in conditioner is a fantastic choice for those who seek the styling benefit of gel, but dislike its effect on hair texture. Leave-in conditioner isn’t a flawless styling product–it has downsides, too, which are listed below. Leave-in conditioner doesn’t provide as much “hold” as hair gel. This means that leave-in conditioner doesn’t have the strength to hold complicated styles in place for hours, or to maintain a slicked-back look all day. The effect of this product is gentler than gel, which may not achieve everyone’s desired look. Leave-in conditioners are a more specialized beauty product than hair gel and may, therefore, be trickier to find in a store. This also means that leave-in conditioner will likely have a higher price tag than comparable hair gel brands. For a natural and hydrating alternative to hair gel, reach for a pot of coconut oil. 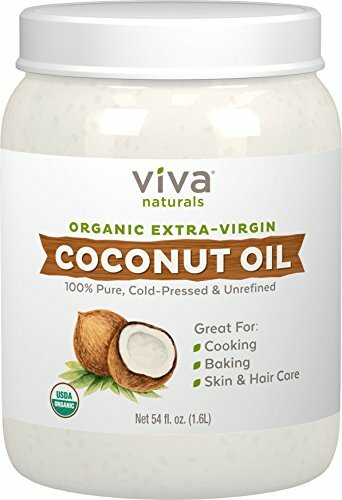 Used for countless purposes in the world of beauty, many people may not realize that coconut oil holds styling powers that may be able to replace that of gel in your daily routine. Coconut oil is most effective as a hair styling product when applied straight out of the shower. It will help secure your hair’s neat, shiny look to minimize frizziness throughout the day. For those who use gel to achieve a sleek, slicked-back look, coconut oil could be a viable alternative (and it’s entirely chemical-free). You may know the benefits of coconut oil as an ingredient in cooking or as a skincare product, but it has benefits as a hair styling tool as well. Here are the main pros of coconut oil as a hair gel substitution. One major benefit of using coconut oil is that it’s a natural, single-ingredient product, so you know exactly what’s going into your hair. Hair gel, hairspray, and other traditional styling products contain several ingredients, many of which can be harsh on the skin, eyes, and hair. Coconut oil is gentle on the body and won’t cause hair damage. Coconut oil is easy to get your hands on and inexpensive when compared to high-end, natural styling products. You can pick up coconut oil at just about any grocery store. Coconut oil is an especially effective styling product for those with naturally curly hair. When gently massaged into the hair after a shower, coconut oil will minimize frizz and make curls noticeably neater throughout the day. Instead of making your hair hard or stiff, coconut oil will actually improve hair texture by locking in moisture and keeping frizz away. You’ll be left with silky, hydrated hair that lasts for hours, if not days. While there’s no denying the many advantages of coconut oil as a beauty product, it does fall short compared to hair gel in a few ways. Coconut oil won’t hold your hair as securely in place as gel will. It simply doesn’t have the same holding power–after all, it wasn’t made for the specific purpose of slicking hair into place. The ability of coconut oil to maintain a hairstyle will wane faster than that of hair gel. While it can reduce flyaways and frizziness, it won’t entirely eliminate them all day long. Hair wax is a product that can be used to set hair styles without excessive stiffness. Whereas you would have to wash your hair in order to restyle when using hair gel or hairspray, you can use hair wax and still restyle throughout the day. This flexibility is what makes hair wax an attractive option for many individuals. Hair wax contains water and, unsurprisingly, wax. This product may also contain certain types of oils and emulsifiers. While it may sound like a strange idea to apply wax to the hair, this ingredient is the reason why hair wax so effectively sets styles in place. Hair wax can be used in small amounts to achieve a softer look with more movement. 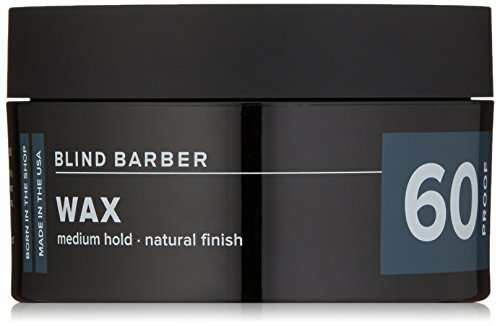 Especially for men, gel can create a hard, stiff texture–wax can create this as well, but only when used in large amounts. When compared to hair gel, hair wax comes out ahead in a few key ways, which are described below. While providing a similar level of hold as gel, hair wax doesn’t contain alcohol. Hair gel typically does contain alcohol, and it can be harsh for your hair. Hair wax grants you the freedom to restyle your hair throughout the day without having to wash your hair or reapply the product. This enables you to go from work to a night out, or from a casual family get-together to a corporate lunch. Hair wax won’t give your hair the hard, “crunchy” texture that gel often creates when dry. While the benefits of hair wax are notable, this styling product also has downsides to consider. Hair wax has a waxy, sticky texture, which may make it more difficult to apply than gel. Wax will also take longer to apply than gel, adding minutes to your (likely already rushed) morning routine. Hair wax is less common than hair gel and is therefore more difficult to get your hands on. It’s also more expensive than typical drugstore hair gel options.